Photo by Brad Ardley, Tiana Feng. Left to right/ De gauche à droite: Max Kerman of/de Arkells, Loud Luxury, Bahamas, The Reklaws. SOCAN was pleased and proud to present No. 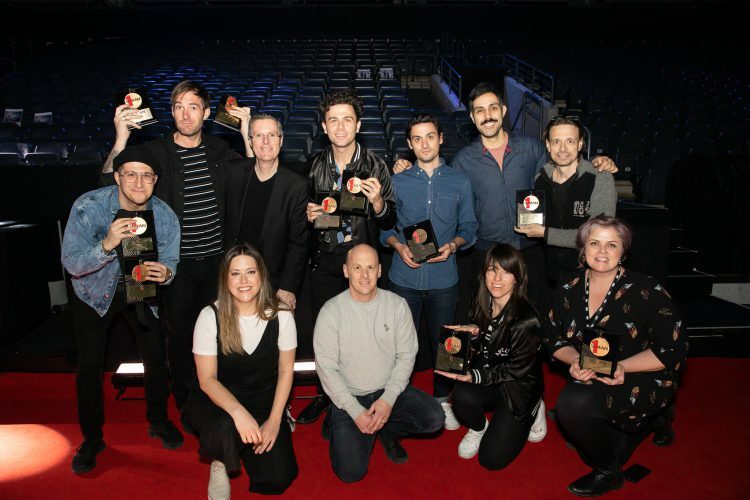 1 Song Awards to Arkells, Loud Luxury, Bahamas, and The Reklaws, on March 15-17, 2019, during the JUNO Week in London, Ontario. Photo: Brad Ardley. Left to right, Back Row: Anthony Carone, Tim Oxford, Eric Baptiste, Max Kerman, Mike DeAngelis, Nick Dika, Marc Ouellette. Front Row: Melissa Cameron-Passley, Rodney Murphy, Ashley Poitevin, Sarah Osgoode. 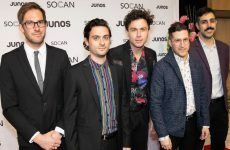 We honoured 2019 JUNO Award double-winners Arkells with two awards, for “People’s Champ” and “Relentless” both reaching the top spot on the CBC Radio Top 20, on April 26, 2018, and Sept. 26, 2018, respectively. Both songs were co-written by band members Anthony Carone, Mike DeAngelis, Nick Dika, Max Kerman, and Tim Oxford, with additional writer Ernest Twala (SAMRO) on “Relentless.” “People’s Champ” was sub-published by peermusic Inc. at the time of the charting, and the company will be presented with their award at a later date. 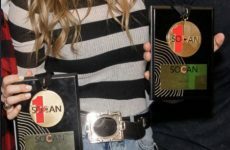 The awards were presented by SOCAN CEO Eric Baptiste, President and Chair of the SOCAN Board of Directors Marc Ouellette, SOCAN Director, A&R, Rodney Murphy, and SOCAN A&R Representative Melissa Cameron-Passley. Also in attendance were Ashley Poitevin and Sarah Osgoode, both of Entertainment One. Photo: Brad Ardley. Left to right: Rodney Murphy, Matthew Smeaton, Joe Depace, Andrew Fedyk, Melissa Cameron-Passley, Widney Bonfils, Marty Simon. 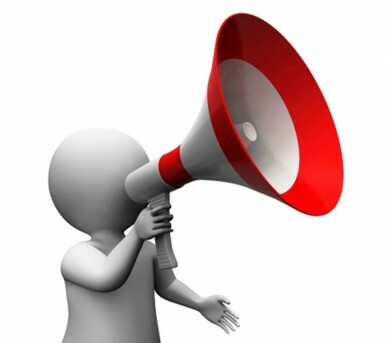 SOCAN presented a No. 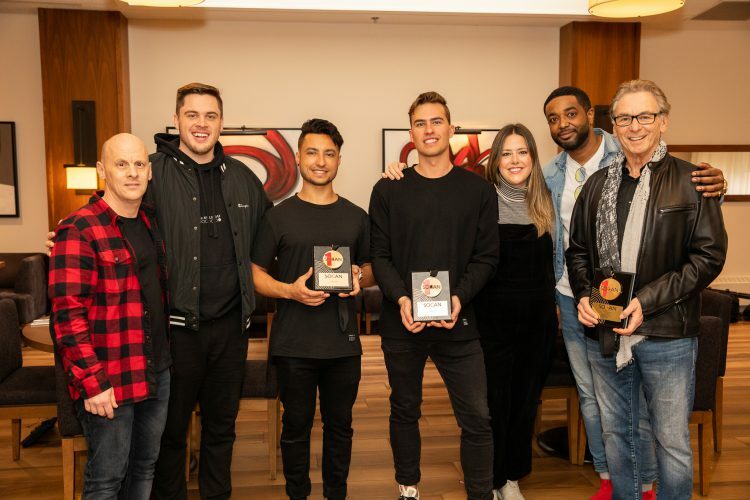 1 Song Award to 2019 JUNO Award-winners Loud Luxury, the duo of Joe Depace, Andrew Fedyk, for their song “Body” (featuring Brando), which reached No. 1 on the Nielsen BDS CHR Airplay Chart on June 18, 2018, holding the top position for six weeks straight. 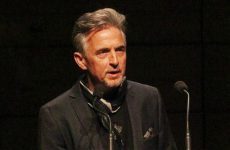 The song was originally co-published by MRD-Music Revenue Data, whose owner and operator Marty Simon attended the presentation, made by Rodney Murphy, Melissa Cameron-Passley, and SOCAN A&R Representative Widney Bonfils. Also attending was Matthew Smeaton of North Side Artists, which manages Loud Luxury. Co-writer Nick Henriques and co-publisher Ultra Music Publishing couldn’t attend, and will be presented with their awards at a later date. Photo: Brad Ardley. Left to right: Rodney Murphy, Bahamas, Erica Grayson. 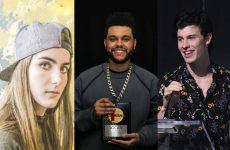 SOCAN honoured 2019 JUNO Award winner Bahamas (a.k.a. Afie Jurvanen) with a No. 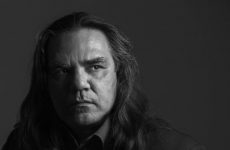 1 Song Award for “Way with Words,” which scaled the peak of the CBC Music Top 20 Chart on Feb. 1, 2018. The song is written by Bahamas and published by Downtown Music, based in New York City. 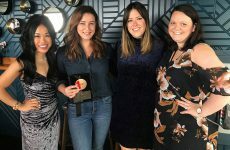 The award was presented by Rodney Murphy, Melissa Cameron-Passley, and Los Angeles-based SOCAN Senior A&R Executive Erica Grayson. Attending the presentation were Bahamas manager Robbie Lackritz (who was up for a Recording Engineer of the Year JUNO for the song , and also for a Grammy Award this year for it), as well as Stephen McGrath of Nightshop Media and Tonisha bath of Rock-It Promotions. Photo: Tiana Feng. Left to right: Marc Ouellette, Rodney Murphy, Jenna Walker, Stu Walker, Helen Murphy, Gilles Godard. 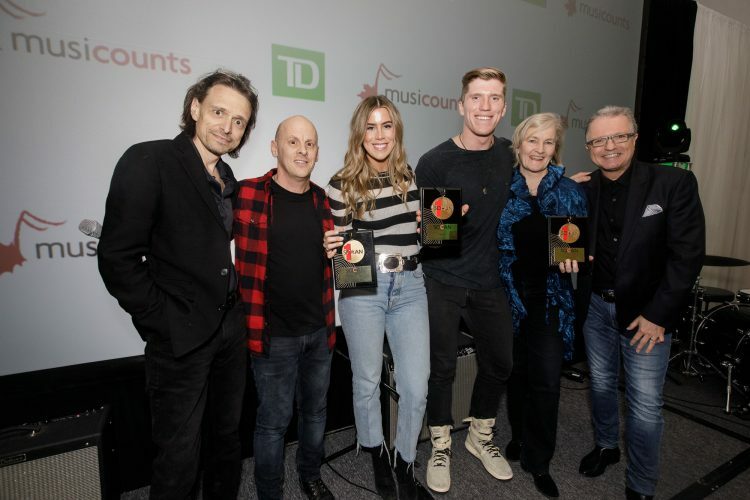 SOCAN surprised 2019 JUNO Award nominee The Reklaws (Stu and Jenna Walker) after their performance at the TD Artist Lounge, with a No. 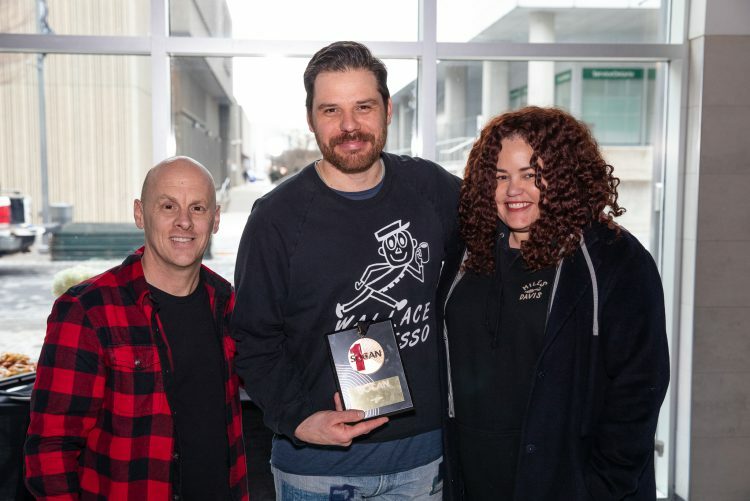 1 Song Award for “Feels Like That,” which topped the Nielson BDS Country Chart on Jan. 21, 2019. 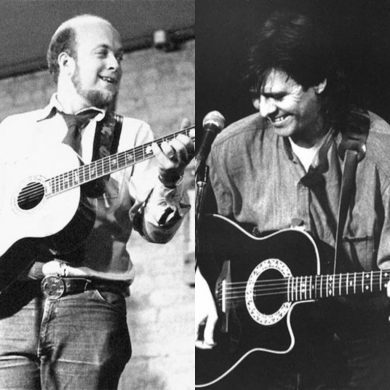 The song is co-written by Jenna Walker, Stu Walker, Todd Clark, Travis Wood, and Donovan Woods, and published by ole, Warner Chappell Music Canada, and Downtown Music. Rodney Murphy and Marc Ouellette presented the honour, and also attending were ole CEO Helen Murphy and ole Senior Vice-President Gilles Godard. 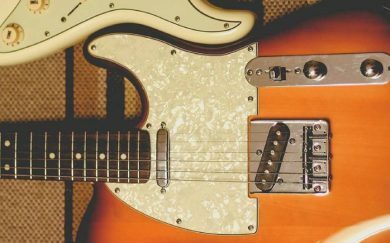 SOCAN congratulates all of our members on their chart-topping success! 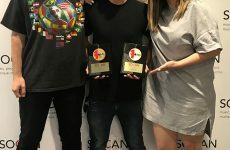 SOCAN spoke with duo Loud Luxury’s Joe Depace and Andrew Fedyk just after they accepted the 2019 Dance Recording of the Year JUNO Award for their collaboration with Brando, “Body.” The pair discuss how they met Brando, a turning point in their career so far, their “Love No More” collaboration with Anders, and what’s on tap for the rest of 2019. 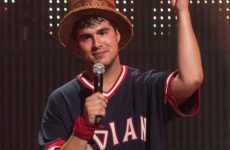 In a brief backstage chat with SOCAN, Indigenous Music Album of the Year winner Jeremy Dutcher talks about the creative process behind his winning album Wolastoqiyik Lintuwakonawa, and his symphonic plans for the rest of 2019.